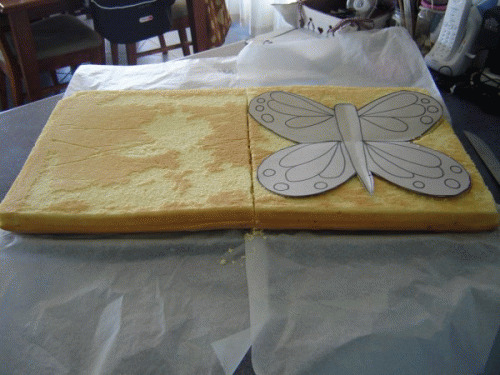 Here is a picture of the slab sponge cake and template. 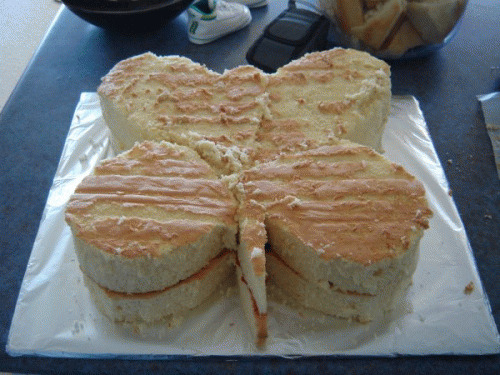 I decided to buy a cake so that I could concentrate on the decorating and other aspects of the party. I ordered this slab from my local supermarket. The template I drew based on the cake size. We have a few people attending and naturally I wanted my daughters first cake to be grand. 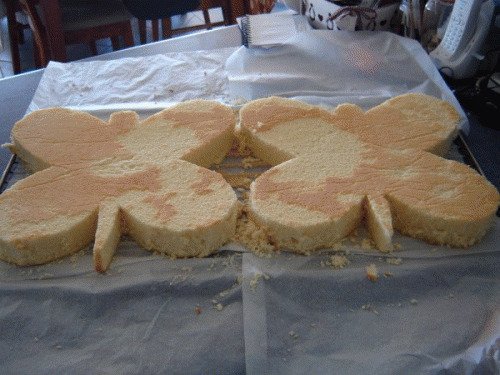 I then cut the butterfly shapes out. I am using two, with jam in between. I found the cake crumbled if I sawed vertically along the template. It was best just to line the knife up to the template and do normal broad slices. My father-in-law enjoyed cleaning up the bag of offcuts. 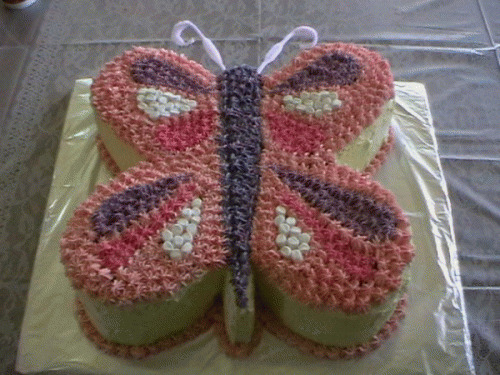 This is the butterflies stacked together with jam between them. Now iced. 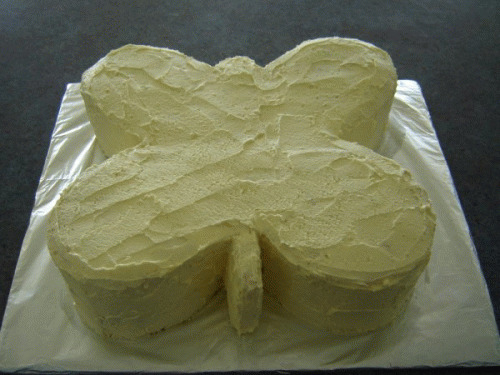 This is butter icing. I did a layer covering the entire cake. Refrigerated until it set. I then used licorice to mark out the different coloured sections. 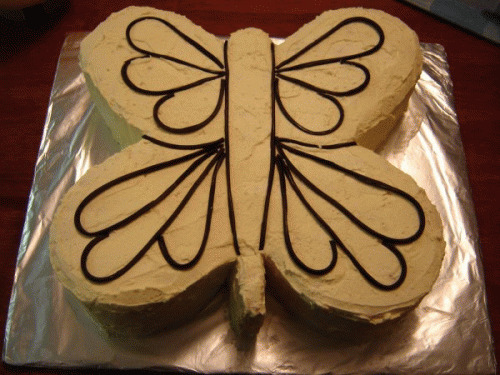 This would be covered by the frosting, but was a yummy combination with the icing on the day. Finally, hundreds of florets placed with a piping bag. I started with the lightest coloured icing and incrementally darkened it for each section. I had to refrigerate the cake and icing bag a few times as the icing was melting in the bag. It was a truly magic day. I have looked forward to doing this for such a long time. Hi Sara, The template is long gone. I just used an old cereal box and drew the body and then wings to the size of my cake.